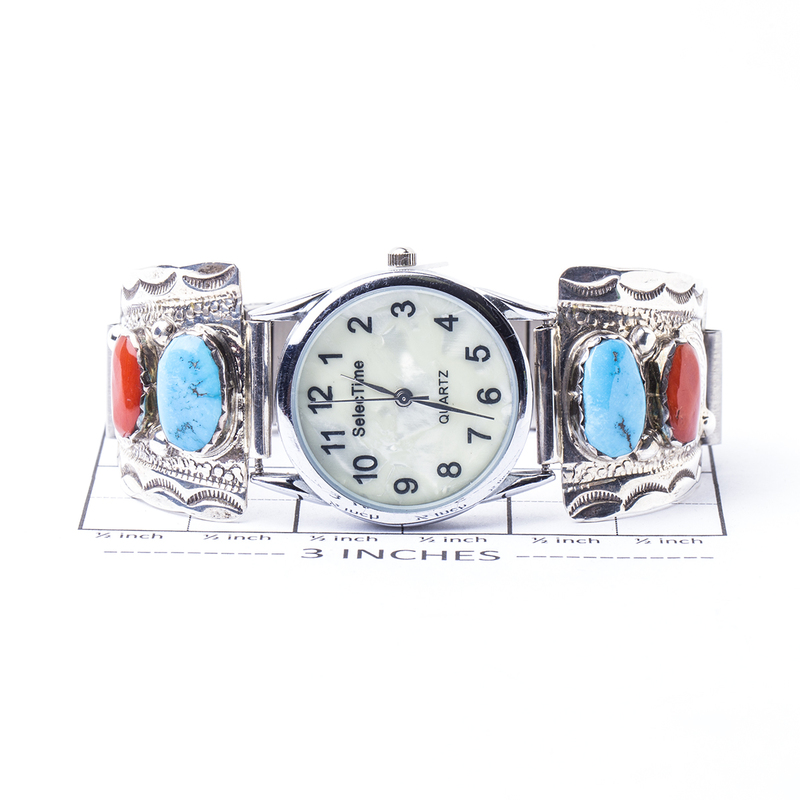 Carmelita Simplicio is well known for creating vintage style pieces such as this impressive watch. 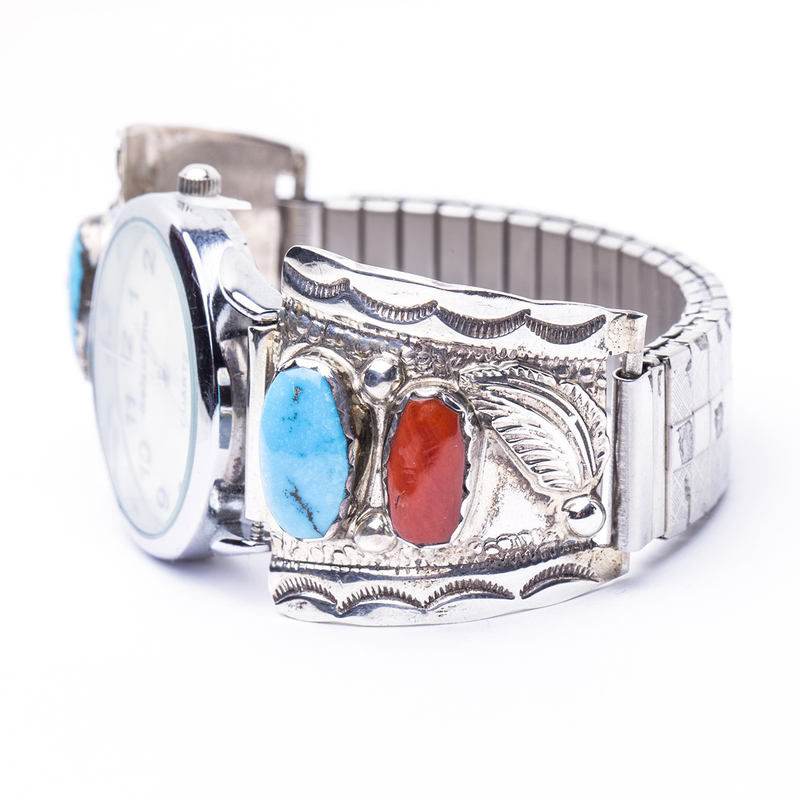 Coral, Turquoise, and Sterling Silver leaves cover the watch band. Comes with a quartz battery. 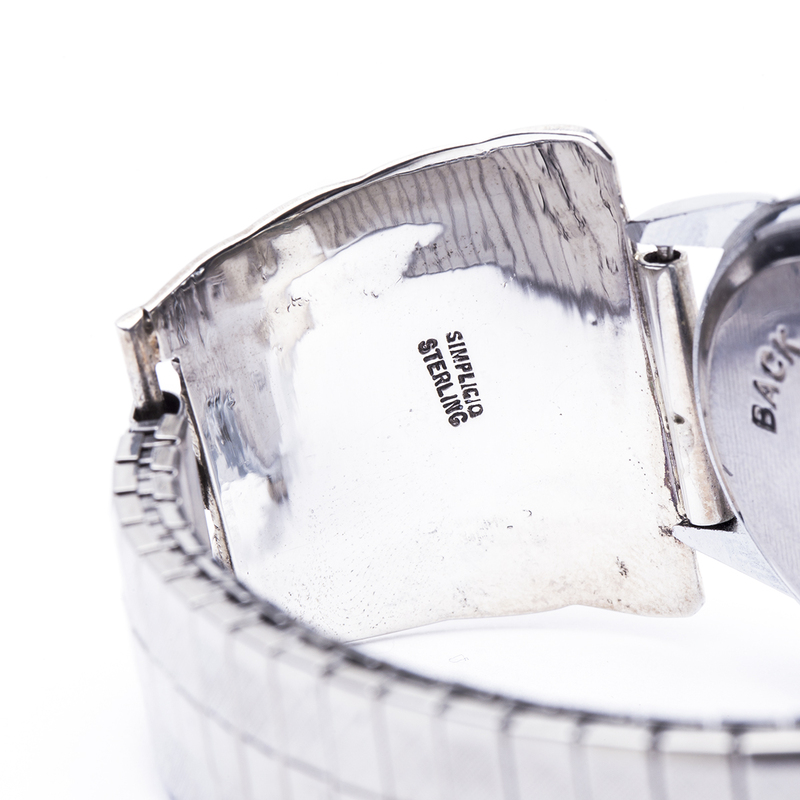 The band is hallmarked “Simplicio” and “Sterling”. 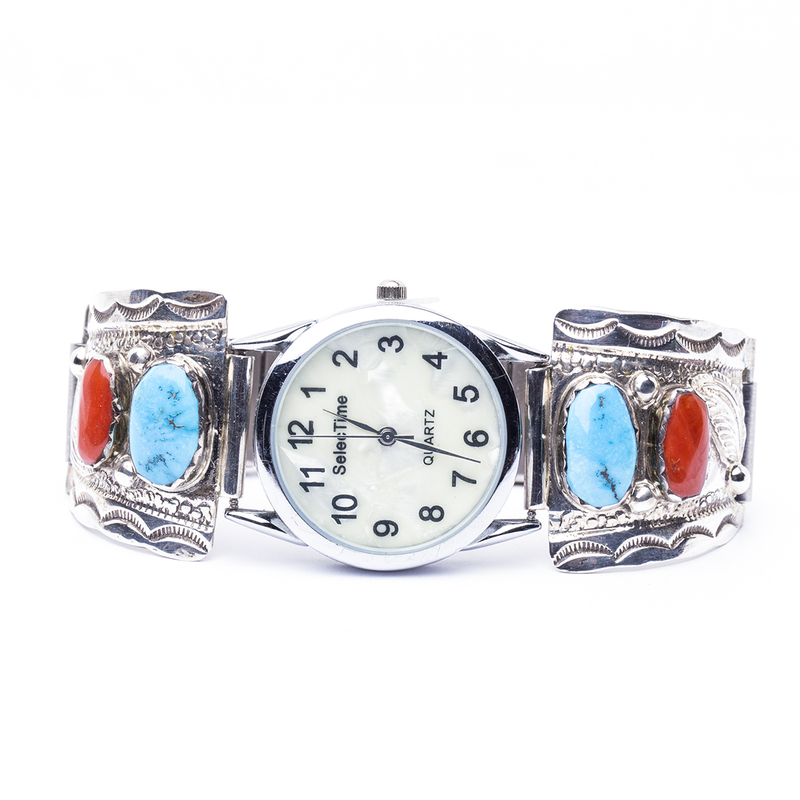 Navajo Carmelita Simplicio Turquoise Coral Watch features Sterling Silver intricate stamp work, Coral, and Turquoise.